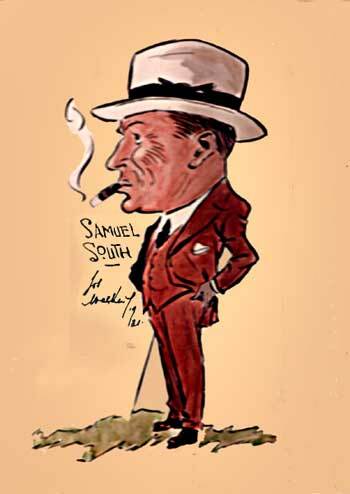 Caricature of Samuel South(2). It was drawn in 1931, when he was 55, by Joe Walker, official caricaturist for the weekly programme of Totteham Hotspur Football Club. Samuel(2) was a life-long supporter of the 'Spurs and purchased a £1 share, no. 1649, in the Club in 1903.